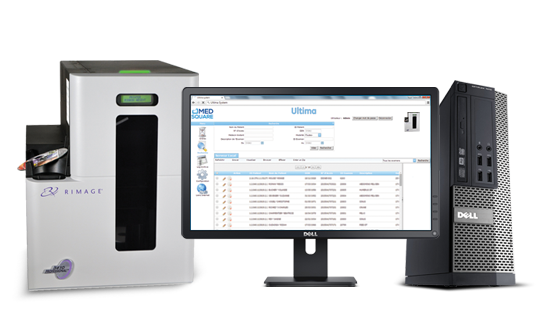 Ultima offers a varied range of burning, printing, archiving, secured web image distribution solutions currently used in more than 450 university hospitals and private clinics in France and more than 2000 around the world. Click here to download ULTIMA brochure. 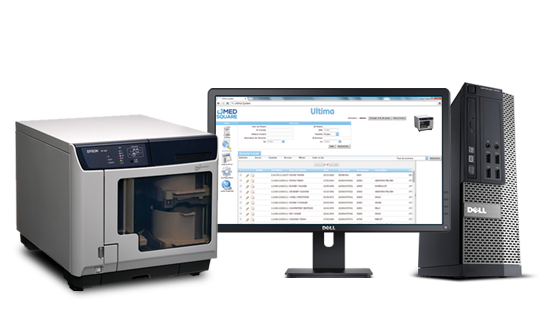 Designed for single modality use, Ultima B050 is the ideal solution for producing up to 15 discs a day. Ultima B100 is a compact and ergonomic burning solution using an Epson PP-100II with inkjet printing. 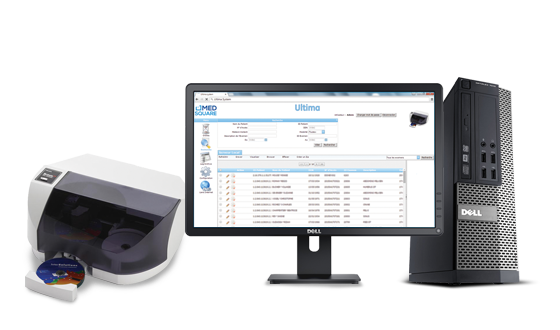 Ultima B300 is a compact and ergonomic burning solution using a RIMAGE 3410 with a thermal printer. 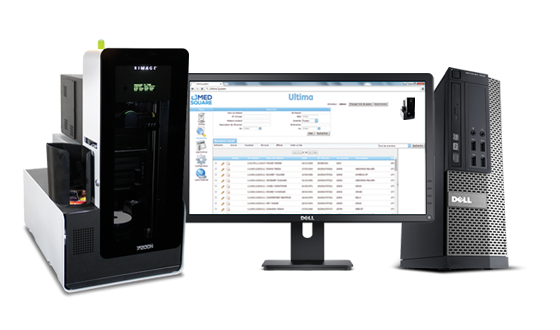 Ultima B700 is the ideal burning solution using a RIMAGE 7200 for medium volume customers who require high quality professional CD, DVD and Blu-ray duplicating and publishing. Ultima offers a varied range of burning, printing, archiving, secured web image distribution solutions currently used in university hospitals and private clinics. Medical Devices Directive 93/42/EEC : Classe I. To ensure proper use of your medical device, please read the instruction manual carefully before use, and then follow its instructions.